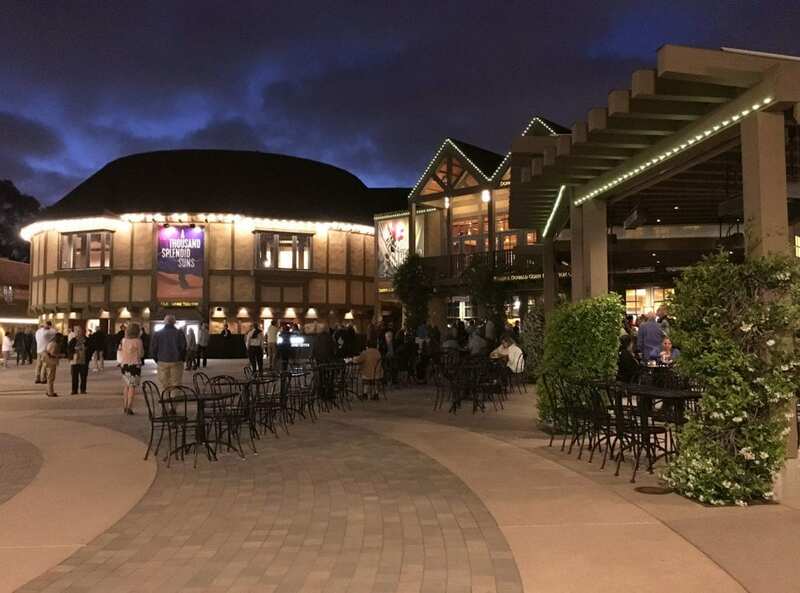 Beneath the balmy San Diego night skies, I emerged from a stirring performance of A Thousand Splendid Suns at the Old Globe Theatre in Balboa Park. The ornate Spanish-Renaissance style museums near the theater were lit up with dramatic colored lights, and at the far end of El Prado, I could see silhouettes of people dancing silently at the edge of a shimmering, gold-lit fountain. Except for the clicking of women’s heels against the paving stones, all was quiet. The play, based on an adaptation of Khaled Hosseini’s acclaimed novel, had left the theatergoers in a contemplative silence. Walking through the park that night on my way back to Hillcrest House Bed & Breakfast Inn, I was struck by the depth of Balboa Park’s cultural and natural treasures. Earlier in the day, I wandered through exhibits of Israeli craft and design and blankets woven by Navajo women at the Mingei International Museum, ate lunch at Pardo overlooking the lush Casa del Rey Moro Gardens, and walked trails among trees planted over a hundred years ago by Kate Sessions, a horticulturalist and landscape architect who is known as the “Mother of Balboa Park.” The 1,200 acre urban park offers 17 museums, a full range of performing arts venues, a world famous zoo, a diverse collection of gardens, and stunning architecture. 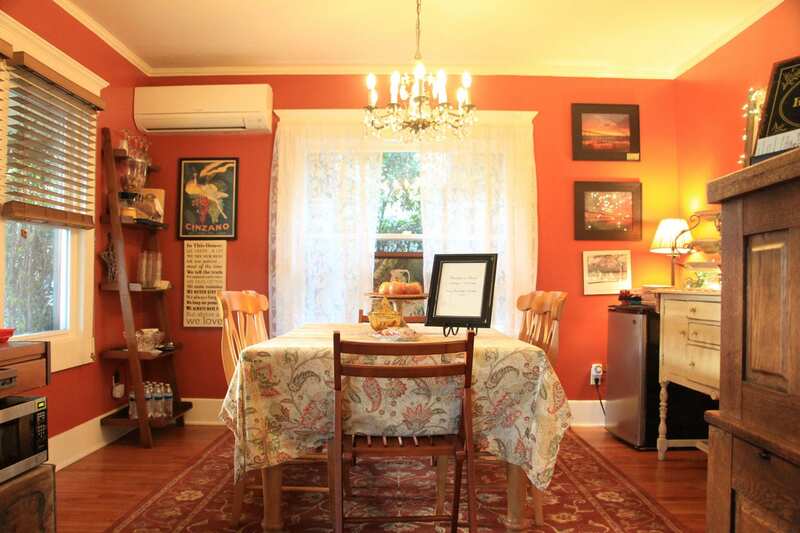 Hillcrest House Bed & Breakfast Inn is located within walking distance from the park’s northwest corner in the vibrant, uptown neighborhood of Hillcrest. 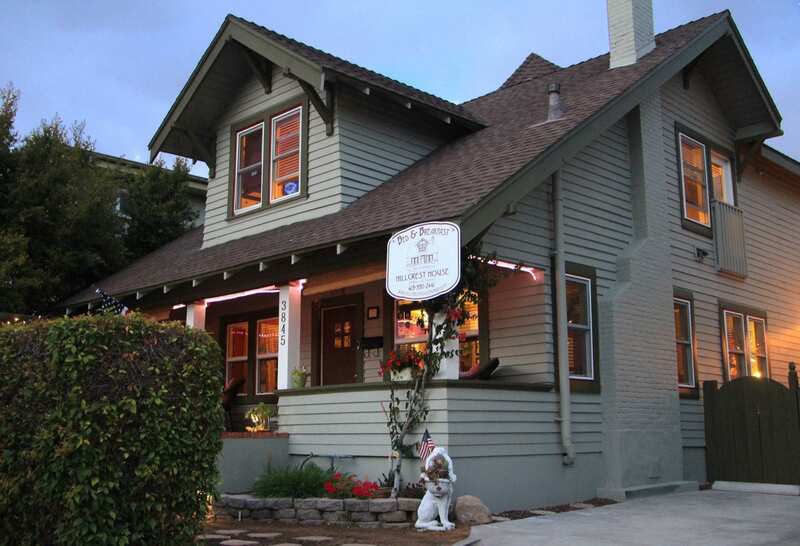 Ann Callahan, the owner of the inn, told me that Hillcrest is where local San Diego foodies go to dine. The diverse cafes lining University Avenue serve nearly every type of cuisine imaginable. (I had a delicious dinner at an elegant Afghani restaurant in Hillcrest called Khyber Pass.) The neighborhood is also lined with craft brew pubs, wine bars, coffee houses, nightclubs, and boutique shops of all stripes. 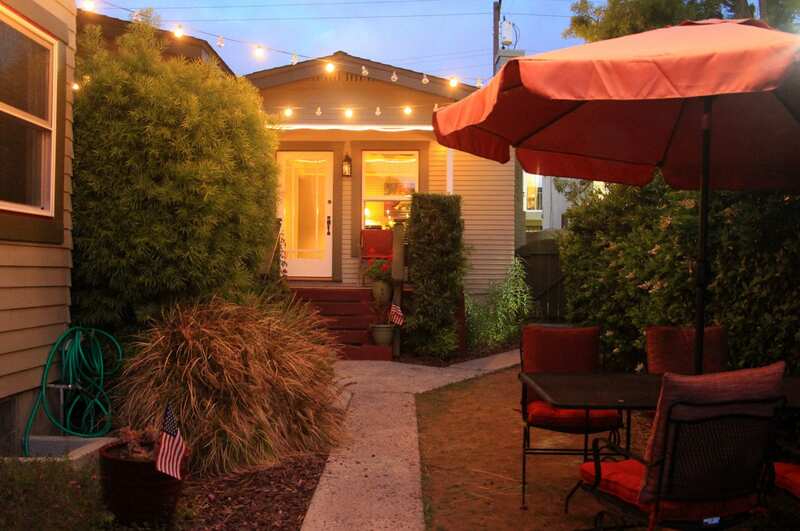 Built in 1910, the inn is a handsome Craftsman bungalow that sits just half a block off the main drag. It was once the residence of the famed Laura Scudder Potato Chip family. The inn offers seven beautifully-decorated guest rooms with a welcoming front porch and a private side yard patio lit with string lights. 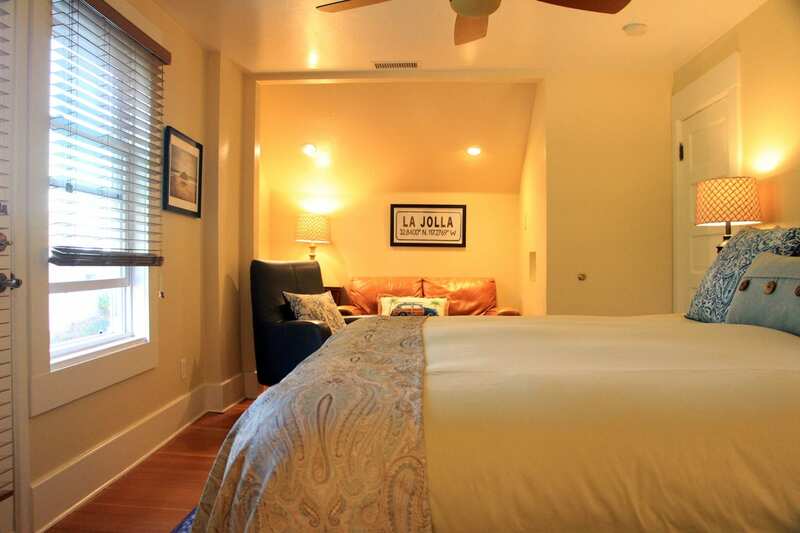 I stayed upstairs in the La Jolla Room, which is one of the more spacious rooms in the historic main house. The room is decorated in soothing colors of sage green and blue and features an extraordinarily comfortable king-size bed and jetted spa tub for two. On a raised marble pedestal, the spa tub is the centerpiece of an impressive bath that also includes a marble and glass shower with two showerheads, a long vanity with two sinks, and stacks of handsome cabinetry. 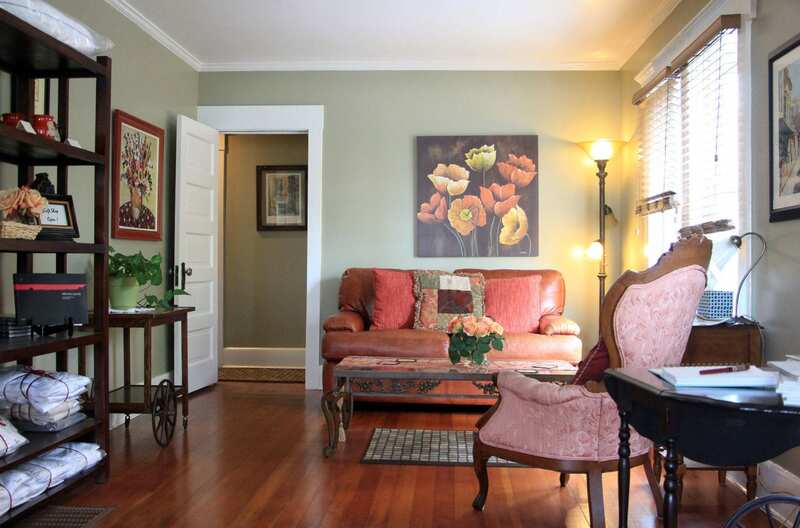 A cozy alcove offers a leather loveseat and chair. 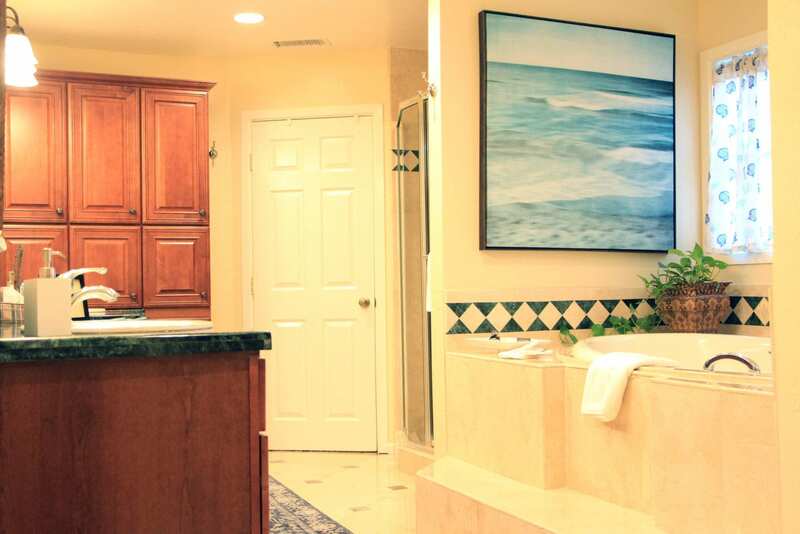 The room is equipped with a small refrigerator, coffee maker, WiFi, cable television, air conditioning, blow dryer, iron and ironing board, and two plush robes. Free off-street parking and breakfast is included with each stay. My first night in San Diego, I joined Ann for happy hour at the legendary Mister A’s rooftop restaurant near Balboa Park. The restaurant offers sweeping, panoramic views of San Diego, including downtown’s neon-lit skyscrapers, the glittering waters of the harbor, Coronado Island, and the airport. It’s an amazing perch from which to take in the city and watch the planes land. The planes seem to skim close enough to touch. From our corner table on the rooftop deck, we indulged in the delectable whims of the Chef de Cuisine, Stephane Voitzwinkler. Starting with steak tartare and handmade lobster “corn dogs” we worked our way through half a dozen small plate dishes that were just as impressive as the views, all while watching the sunset over the ocean. At the inn the next morning, I awoke to the aroma of Ann’s freshly-baked mini muffins. I devoured at least two of each of the blueberry and cinnamon muffins. The complimentary breakfast buffet, which is served daily from 8:30 to 10:00 a.m. in the dining room, includes Ann’s signature muffins, seasonal fresh fruit, hard boiled eggs, yogurt, granola, cereals, juices, and freshly brewed coffee and tea. The breakfast offers a chance to meet other guests, chat with Ann about itinerary ideas, and chart your course for exploring more of San Diego. 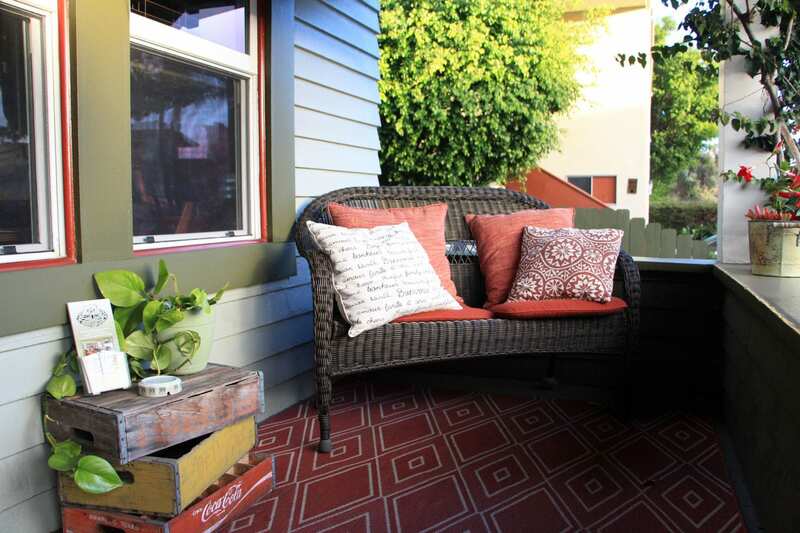 All of the major tourist attractions—including the Balboa Park, San Diego Zoo, Sea World, downtown, and the Gaslamp Quarter—are all within a quick, 10 minute jaunt of the inn.